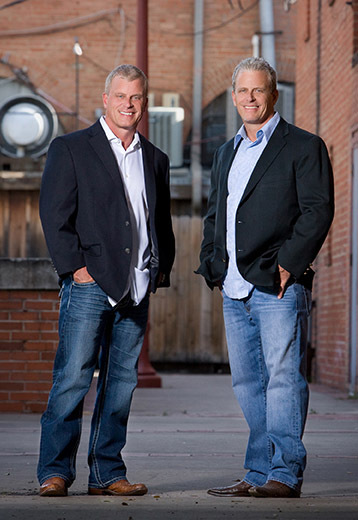 Twin Kell Cleaners was established in 1989 by twin brothers Kent and Kevin Kell. The name Kell has been synonymous with dry-cleaning since 1932 when Tom and Oleta Kell opened Kell Cleaners in east Fort Worth. Their son Jack took over operations in the 60′s and and the Lord prospered the Kell family. Blessings still abound as the third generation specialists continue that tradition today. states (New Mexico, Texas, Oklahoma, Kansas, Missouri, Arkansas, Louisiana and Mississippi). He also serves on the small business advisory committee of the Texas Commission on Environmental Quality. Twin Kell Cleaners has achieved dry cleaning and laundry institute’s prestigious award of excellence given by the clothing care council. Kevin is a certified garment care professional, having earned all three of dry cleaning and laundry institutes professional certificates, certified environmental dry cleaner, certified professional dry cleaner, and certified professional wet cleaner. Lone Star Shutters specializes in offering you the most custom interior window coverings at the lowest cost. We provide wholesale shutters to retail stores across the state of Texas. We can assist in finding the perfect window coverings for your store or home. Lone Star Shutters is here to provide you with your interior window decorating. Twin Kell Cleaners promises to provide quality on time cleaning with friendly, helpful and competent service. Twin Kell will re-clean or re-press any item to your satisfaction. In the unlikely event you are still not satisfied, Twin Kell will refund your money. Twin Kell offers expediting services including pressing or spot cleaning while you wait. Minor repairs such as button replacement can also be made in a few minutes. The production crew of Twin Kell Cleaners has many skilled veterans with practical knowledge and expertise. Rest assured your garments will be subject to master craftsmanship and handling. If they do not have the answers to garment restoration they have an array of resources who do. The staff of customer service representatives is committed to serving the needs of customers. They will go to any extreme to make sure your experience is a pleasurable one. If you have an emergency or urgent matter, systematic procedures are in place to assist you! Twin Kell operates under the latest modern technology. We are renowned for being an environmentally friendly and hazard free work place. Both plants use a petroleum base hydrocarbon solvent design to remove general soils and grease. There is no hazard waste and thus no stringent environmental controls or record keeping required. assess each situation to ensure that risk is reduced. From enzyme digesters to oxidizing and reducing bleaches, qualified personnel will go to great lengths to make sure every process is taken to restore a garment. In certain situations where risk is involved, a professional will consult with a customer when abnormal amount of risk is involved. Every aspect of risk including shrinkage, color loss or dye migration is discussed. starch completely or add extra heavy amount. Colored shirts are washed separately to avoid shrinkage and enhance color. The inspection department then carefully inspects shirts after they have been pressed, noting any defects such as residual stains, repairs or deficient pressing. Collars and cuffs are finished by hand to ensure the utmost quality finishing. Large capacity commercial washers handles items from bedspreads, down comforters, sleeping bags, duvet covers, cushions, shams, matlesse, quilts, blankets, and draperies. Dry-cleaning can also be used when needed for delicate or color sensitive fabrics. Twin Kell has a benefice alteration specialist on staff to handle basic alterations. Personnel are available to fit customers and take measurements when a specialist is not available. An off premise tailor is used for complex tailoring needs if required. Minor repairs normally are handled within a few days. Major repairs are completed within a week but can be accommodated earlier if requested. Kell personnel will have the answers. The international fabric institute, the governing body of textile maintenance is available for a detailed analysis if need be. Because today’s fabrics are also color sensitive, re-dyeing is also a viable option. Twin Kell will discuss each situation and recommend when dyeing could enhance the garment. Conditions of fabric shrinkage, dye adherence, specific fabric content are a few areas of concern. Dye setting and fabric softeners along with the best quality dyes are used. Even the finest designer gowns are serviced at Twin Kell, where inspection is critical. Certain trimmings, beading or sequins are not always serviceable. Every precaution is always taken to preserve every gown and formal. Some instances may even call for wet cleaning and bleaching for ultimate restoration. Through age and oxidization, clothes can weaken and become sensitive to chemicals and tension. Under careful examination Twin Kell can identify these characteristics. Special hand care is needed to preserve these fabrics along with neutral detergents, softeners and conditioners. Air or cabinet drying is used as an alternative to tumbling. Mild bleaches such as hydrogen peroxide may be used for extremely delicate situations. Nothing is more frustrating than having a wool suit damaged by a burn hole or a moth. Thanks to a special process called reweaving, that hole can be mended to like new condition. Because of the need for special equipment, additional process and skilled personnel, not all dry cleaners are equipped to process suede and leather garments. For these reasons, the expense of cleaning leather garments is typically higher than that of normal dry-cleaning. The major difference between dry-cleaning and leather cleaning is during leather cleaning the solvent is combined with detergents, fat liquids and oils in an attempt to maintain the garments original appearance almost all leather types will require a reapplication of color by a professional leather cleaner. Twin Kell sends leathers to a bonafide leather specialist. We have tremendous confidence in these professionals because they meet the highest standards in the industry. Twin Kell Cleaners understands how important a wedding is, particularly to brides. Every detail must be meticulously and diligently checked. The wedding ceremony must be pulled off as if it were the royal wedding itself. The only tears shed should be tears of joy. That is why Twin Kell Cleaners immaculate attention to detail is implemented with every bridal gown. Pre Inspection is critical to evaluate exactly what processes should be used to ensure that every gown is returned in pristine condition. Our specialty is delicate and fragile garments and we offer museum quality packaging to preserve the very finest of gowns. Even the most heavily soiled and stained gowns are treated with the utmost care. We'll leave the wedding plans to you. You leave the gown restoration to us. the best decision I have ever made. They deserve all the stars. quickly. The location is in a wonderful place and they have a very open hours that are convenient for me. I would completely recommend this place for your dry cleaning needs. Thank you for your loyal service! Color me impressed! I did quite a number on my wedding dress while taking my bridal portraits, I managed to get dirt, makeup and who knows what else pretty much from top to bottom. I was sure that I was going to be wearing a slightly stained dress on my wedding day, which wouldn't have been the end of the world, but Twin Kell got everything out and it looks all shiny and new again. Best part? They were WAY cheaper than the other places that I got quotes from- $100 less in most cases. The cheap-o inside of me will love them forever and ever. ask about our new loyalty program! Kent and Kevin Kell C.G.C.P. © 2018 Twin Kell Cleaners. Website Design by Instabuild. All rights reserved.